Samsung landed a great deal when it got Fortnite on Android to come exclusively to the new Galaxy Note 9 and Samsung devices in beta. And, it drew on the player base's furor for skins by offering a free, exclusive skin for anyone who played on a Note 9 or Galaxy Tab S4. The catch: some players realized they didn't have to buy the devices to play for that skin, Polygon has reported. 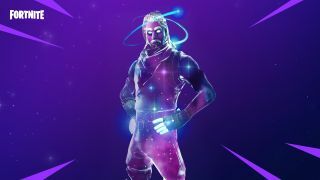 Some gamers have tried getting the Fortnite Galaxy skin by going to stores that had the Galaxy Note 9 and Galaxy Tab S4 on display, and used those devices to unlock the skins. All they needed to do was get Fortnite installed on the device and play three matches using their Fortnite account. They also had to hope no one had already beat them to it. It's a bold move, and one Samsung has tried preventing. The Verge spotted a tweeted sign from Samsung indicating that the demo phones wouldn't download Fortnite or the games skin. So, it would seem Samsung got wise to the scheme. While it seems likely it will only get harder for gamers to try this sneaky technique to get the exclusive Galaxy skin, the alternative is paying hundreds of dollars to get a Samsung device. And, anyone who just wants a cool skin may simply keep looking for another clever workaround.